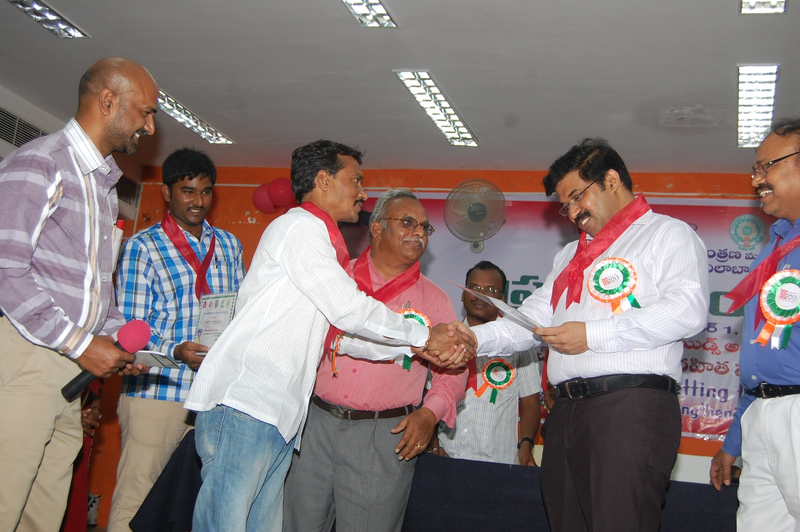 Under the Leadership of Sri.Babu,IAS, District Collector, Adilabad, DAPCU Adilabad has organized World AIDS Day on 1st December 2013. On this day, we have organized a "Community Breakfast” with HIV infected/affected orphan children, 30 District Officials and 45 Print & Electronic Media people at Collector's Camp office. Sri. Chandraiah, High Court Judge, Andhra Pradesh, has attended as a Chief Guest to the programme. In the program, District Collector & High Court Judge had interacted with the CLHAs and their care takers. During their interaction they came to know many of their issues like Education, employment, housing, health etc. Immediately, the District Collector has instructed the concern Department heads to look into their problems. Sri Chandraiah, High Court Judge, has spoken many affectionate words towards the children and encouraged them to study well. 30 District Officials have sponsoring to CLHA/CAA including District Collector, Sri. Babu.A., IAS since from 15th August 2013. After that, all the District Officials had breakfast along with their Sponsored Children and care takers. Inviting Print & Electronic Media directly to the programme is the first time for us. After the Community Breakfast they also felt so happy that they knew more about the CLHAs and their life style. Later, we have conducted a massive rally with nearly 1000 participants of Health, Education, DRDA, NGOs, and Youth etc with placards, banners and slogans. And we had carried a 15 feet HIV Red Ribbon in the rally. 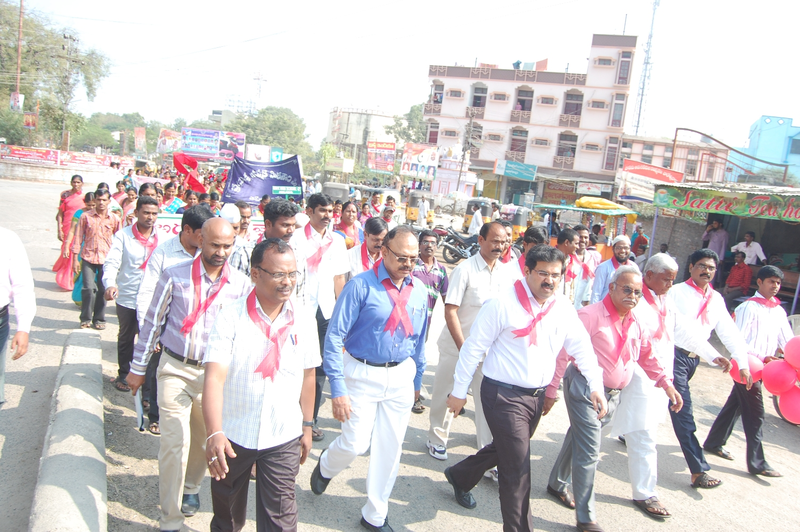 For this rally, District Collector flagged off and led the rally up to the Meeting venue. For the first time, in Adilabad, the District Collector walked along with complete rally for 2 kms. After that Rally, we have conducted a Special Meeting on HIV/AIDS sensitization. Guests had given speeches on HIV/AIDS and stressed on Stigma & Discrimination towards the PLHAs. Later, Chief Guest, District Collector, Adilabad had given speech followed by a ‘special pledge’ on ‘commitment and individual responsibility’ on ‘getting to zero’ of HIV infection in the district. At the end of the programme, woolen blankets were distributed to 30 HIV infected/affected orphans and followed by Awards distribution to the staff under DAPCU by the Chief Guest, Sri. Babu,A.,IAS.